In addition to regulating vascular tone, arterial smooth muscle cells also play an important role in atherosclerosis by proliferation, migration and matrix production (Dzau et al. 2002; Libby 2002; Ross 1999). Whereas estradiol can inhibit proliferation and migration of smooth muscle cells, testosterone had no effect (Akishita etal. 1997;Kolodgie etal. 1996). Moreover, the protection of female rabbits by estradiol but not the protection of male rabbits by testosterone from atherosclerosis was associated with decreased incorporation of 5'-bromo-2'-deoxyuridine into DNA of neointimal cells, an in vivo marker of arterial smooth muscle cell proliferation (Bruck etal. 1997). 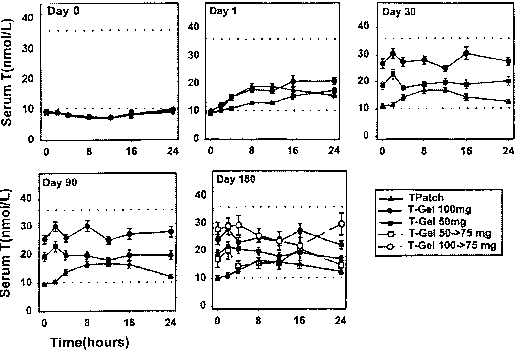 The effect of testosterone on smooth muscle cell migration and matrix production by smooth muscle cells has not been investigated. Thus there is little indication of a role of testosterone in vascular smooth muscle cell function except the effects on vasomotor functions summarized above.